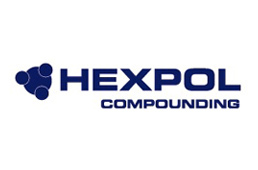 Hexpol Compounding UK; part of the Hexpol Group; specialises in compounds for roller covering and plant lining. Also industrial colour compounds Tol mixed or to specified requirements. Product portfolio also includes vulcanised rubber sheet for vacuum press and other industries. Hexpol Compounding is a global supplier with established customers in fifty countries worldwide.